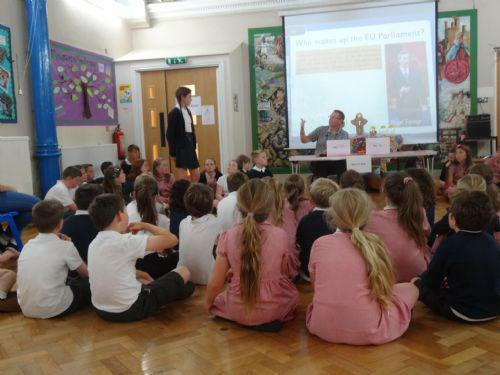 Our thanks to Year 5 children who presented arguments both for and against leaving the European Union. 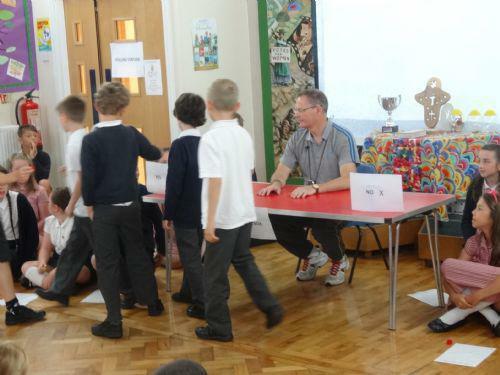 They argued with clarity, confidence and conviction before the juniors were invited to cast their vote. 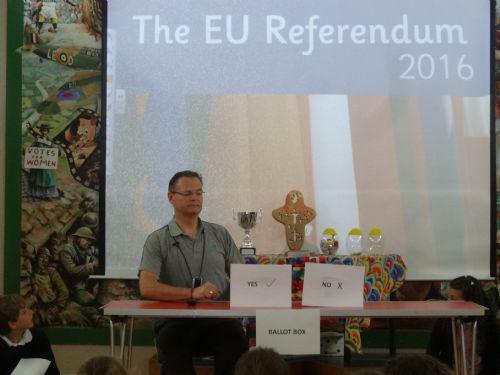 The result differed from the national picture with the Remain campaign winning by a sizeable majority. Now we appreciate the value of elections and what a great responsibility it is to use your vote.